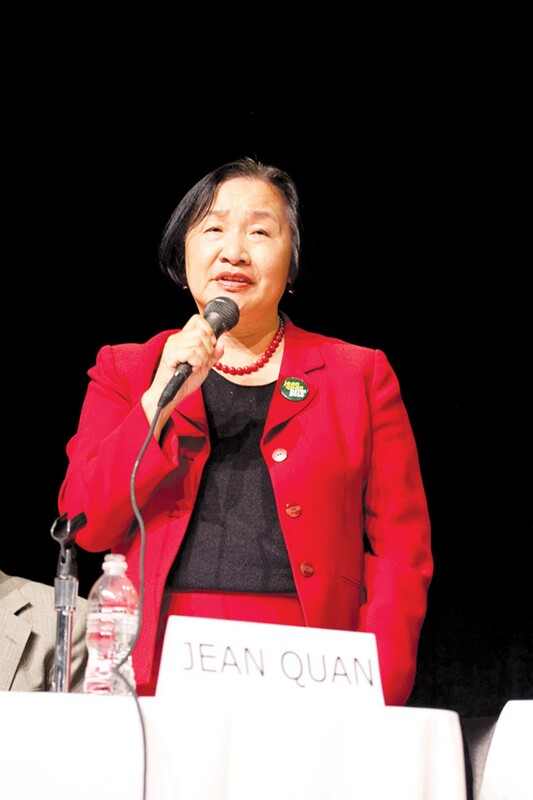 Oakland is blessed this year with three impressive mayoral candidates — Councilwomen Rebecca Kaplan and Jean Quan, and college professor and news analyst Joe Tuman. 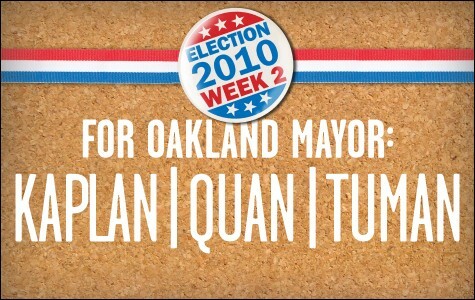 They're all extremely smart and passionate about turning Oakland into the city it can and should be. And we're taking the unusual step this year of endorsing all three. We initially intended to do a ranked-choice endorsement in recognition of the new voting system in Oakland, Berkeley, and San Leandro. Voters will get to select their top three candidates for each office — instead of picking just one. But after separate one-hour interviews with Kaplan, Quan, and Tuman, we couldn't agree on who we should pick first, second, and third. And all three candidates agree enough on the issues to make one of the other two the best replacement for whichever candidate you prefer. 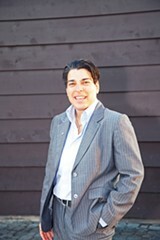 We really like Kaplan and her positive vision for Oakland. She's full of great ideas, she understands the importance of smart growth, and she's the only candidate in the race who has a proven record of bridging political differences between Oakland's business and progressive communities. We also respect her many accomplishments during her successful — albeit short — tenure on the city council. In less than two years, she's led the ongoing effort to tax and regulate medical cannabis and the successful campaign to reform Oakland's woefully out-dated nightclub and cabaret laws. She also was the driving force behind the new free Broadway shuttle, which connects uptown and downtown with Jack London Square. We're also very impressed with Quan. She's a hardworking, dedicated public servant, who really understands the ins-and-outs of Oakland city government. She's also hardnosed, and we're confident she has the intestinal fortitude to take on the many powerful factions in the city. We're also pleased that she has had the courage during the mayoral campaign to go toe-to-toe with ex-state Senator Don Perata. Over the years, most Oakland politicians have been too scared to call out Perata for his unethical behavior because he has a record of later seeking revenge. As for Tuman, he shares many of Kaplan and Quan's best qualities. 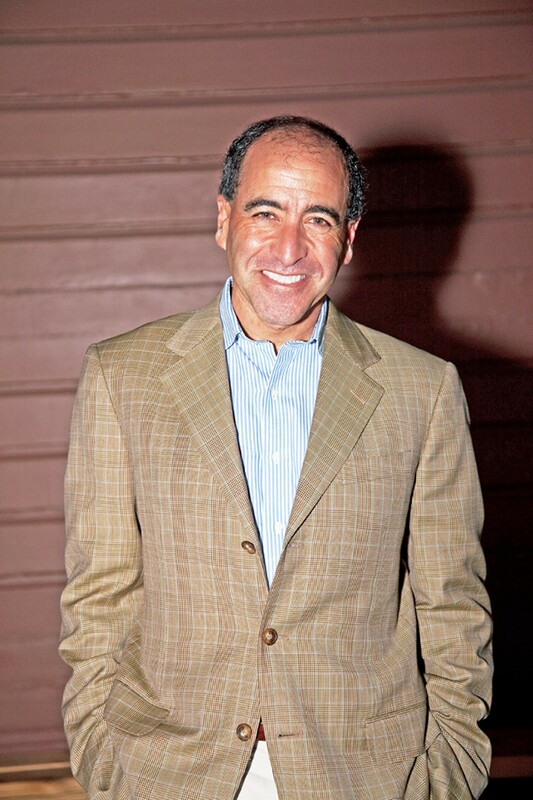 The San Francisco State political science professor and former news analyst for KPIX TV and KCBS radio is disarmingly intelligent, and like Kaplan, he's a gifted public speaker who has a positive vision for Oakland. He's also very persuasive one-on-one. And like Quan, he's extremely hardworking and tough as nails. We also like the fact that as an outsider who says he has no ambitions for higher office, he will be beholden to no one if elected and able to take the strong, courageous stances needed to turn Oakland around. Finally, there's another important reason for our decision to endorse all three candidates instead of ranking them. Simply put, we think electing Perata as mayor would be a grave error. He's proven throughout his long political career that his top priority is not bettering the lives of East Bay taxpayers but lining the pockets of his friends, family, and donors — (see our anti-endorsement, "25 Reasons Why You Shouldn't Vote for Don Perata," below). Recent polls show that while Perata has a slight lead over Quan, with Kaplan running third and Tuman running fourth, the ex-senator is vulnerable. He has trouble getting second- and third-place votes because he's such a polarizing figure. And so, the best way to beat him is for you to select Kaplan, Quan, and Tuman — in any order you choose. What is ranked-choice voting? It's a new voting system in Oakland, Berkeley, and San Leandro that eliminates the need for expensive run-off elections. How do I fill out my ballot? It's easy. Select your favorite candidate as your first choice. And then pick your next two favorites as your second and third choices. How exactly does the ballot counting work? Let's say you pick Tuman first, Kaplan second, and Quan third. If Tuman has the fewest first-place votes of those three candidates when the ballots are initially counted, then he's eliminated and your second-place vote for Kaplan becomes a first-place vote for her. But if Quan is leading Kaplan, then your third-place vote for Quan becomes a first-place vote for her. What if I really prefer one candidate? You can select just one person if you wish. But if you really don't want a certain candidate to win, then you also should make second- and third-place choices to help a less objectionable candidate beat him. Am I wasting my vote if I select Kaplan or Tuman first since they're running third and fourth in the polls? No. Since they and Quan share more admirable qualities than any of the other contestants in the race, picking all three is the best way to ensure that your preference for one of them translates into a victory for your values. What if I don't like one or more of this newspaper's choices? Then don't list them on your ballot — unless you're worried about Perata winning the election. Because Kaplan, Quan, and Tuman will each need plenty of second- and third-place votes if any one of them is going to beat the ex-senator. What if I like one of the other candidates in the race? Then mark that person on your ballot, but remember to also select Kaplan, Quan, or Tuman if you don't want Perata to win. What if I like Perata better than one or more of the Express' three choices? Read "25 Reasons Why You Shouldn't Vote for Don Perata," in this issue.